CCM Super Tacks AS1 Grip Composite Hockey Stick - Senior is rated 4.0 out of 5 by 3. CCM pushes the performance boundary with its new Super Tacks AS1 ice hockey stick that joins the Bauer Nexus sticks as some of the best performing mid-kick sticks on the market. CCM has revisited its stick technologies and introduced a host of improvements sure to satisfy those heavy shooters. This stick not only loads up better than ever, but is lighter than before and feels great in the hands, taking the Tacks sticks to a new level. The Super Tacks AS1 features rounded corners and a concave sidewall to help provide better control and comfort for the advanced to elite-level player looking for that top-level stick feel. Though the stick feels better than ever, the big upgrade this year is CCM’s X-flow technology that provides higher quality and consistency throughout the shaft. During molding, extra resin and gaps are removed, improving durability and creating a lighter stick. More Sigmatex carbon fiber results in a higher strength-to-weight ratio. The AS1 weighs about six grams less than the 2.0 stick—the stick is not only lighter, but more consistent than past Tacks sticks thanks to fewer overall design imperfections. The AS1 flex profile is different this year, too. The profile is optimized so the same versatile stick as before is now almost more of a power shooter’s stick, ideal for those players who lean in when loading up for their big slap shots. A new, stiffer taper helps accomplish this by raising the balance point, creating more blade stability—a feature perfect for heavy shooters—keeping the blade face square to the target for excellent accuracy. The carbon layering is also optimized for a more efficient energy transfer process while remaining geared for big shots. 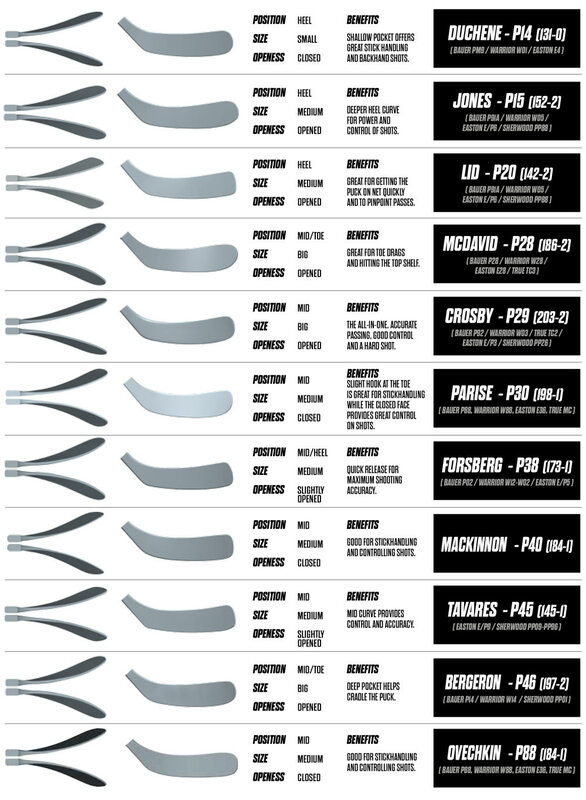 In the AS1 blade, CCM uses its Acu3 blade core. The blade is very stiff from heel to toe, creating a lively blade face. The stiff blade combined with the new stiff taper increases the torsional stiffness, resulting in one of the most accurate CCM blades you can own. Compared with other CCM sticks, the AS1 has a heavier, more aggressive kick point, sure to make the big, powerful shooter happy. CCM’s performance lab worked overtime to identify the ideal positioning of the softer flex zone while improving the transition of the stiff taper. This allows players to maximize loading and generate maximum power. The CCM devotee will love this high-performing stick. The new technologies CCM has built into the AS1 make it stand out in a fairly flush field of competitive offerings. Length: 75/85 Flex: 59 inches 95/105 Flex: 62 inches Length of the product measured in inches. Construction Material: Sigmatex Composite Type of material the product is made of. Blade Construction: ACU3 Type of material the blade is made of. What is the new ovechin curve similar to?